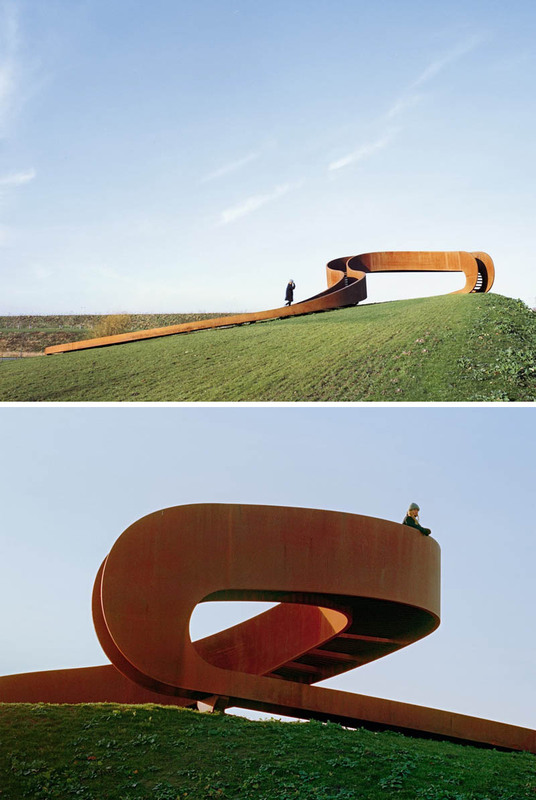 Amsterdam-based firm NEXT Architects (previously here) has created a spiraling sculptural staircase titled The Elastic Perspective that seemingly leads to nowhere, but in fact provides a lookout point with panoramic views. 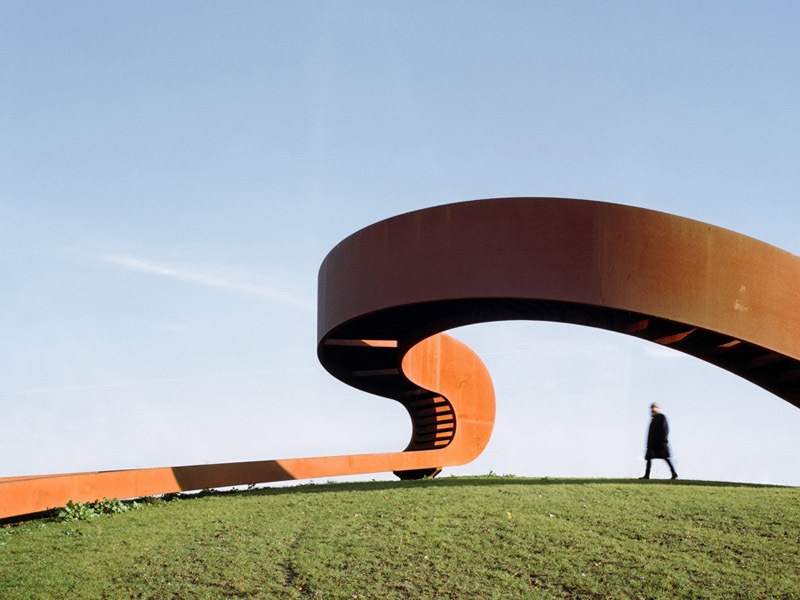 The looping oxidized-steel structure, with its rusty Serra-esque quality, is located in an industrial precinct, near to railway tracks, sitting prominently on a grassy hillside on the outskirts of Rotterdam. 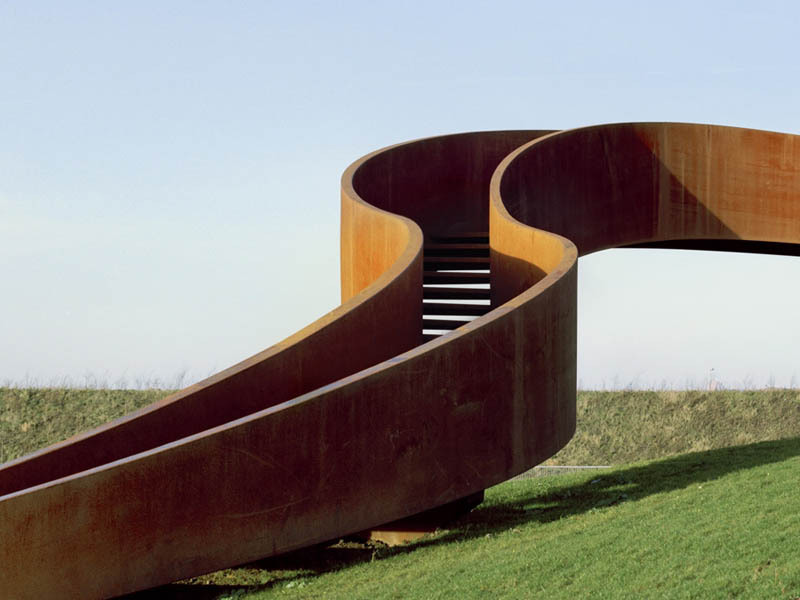 The Möbius strip-inspired staircase appears to be endless but instead leads at its highest point to an unhindered view of the city’s skyline in the distance. This entry was posted in Architecture, Art, Stuff We Like. Bookmark the permalink.